Pokemon Go?! “I thought I was into real go but they stole the name!! 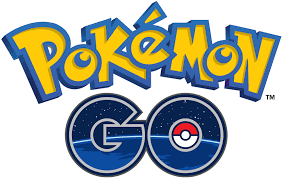 How disappointed was I?” writes Ted Terpstra after reading about Pokémon Go in The New York Times recently . Senior Invitation in Sunnyvale: “I would like to encourage go players 50 and older to meet at the Sunnyvale, CA, Senior Center on Thursdays between 2:30pm and 5:30pm,” writes Jean DeMaiffe, responding to our Beginner at 80, Still Playing at 90 7/10 EJ post. “The Senior Center chess players have graciously agreed to share their playing room with us. For now, I am providing two go sets plus a few books, all of which are stored with the chess players’ equipment.” Although DeMaiffe, who’s taught beginners for years, says she won’t always be able to attend, “if a go player contacts me in advance, I will happily make an effort to attend any particular meeting.” Reach her at 408-930-5888 or jean@dougandjean.com. UPDATE (7/29): This invitation has been retracted due to circumstance beyond DeMaiffe’s control; we regret any inconvenience.